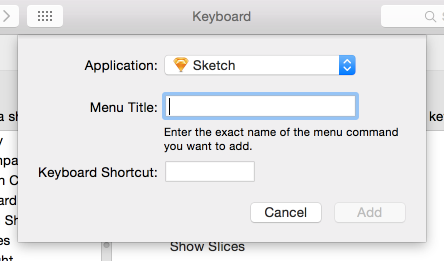 There’s no denying that Sketch is a great tool — but it can be made even greater once you master some keyboard shortcuts. 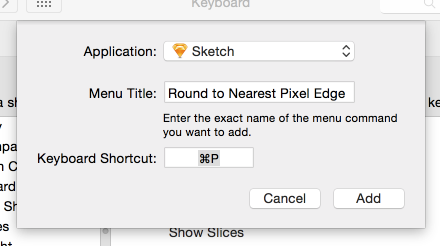 I don’t want to make Sketch overly complicated, and I don’t like having to learn a bunch of shortcuts. 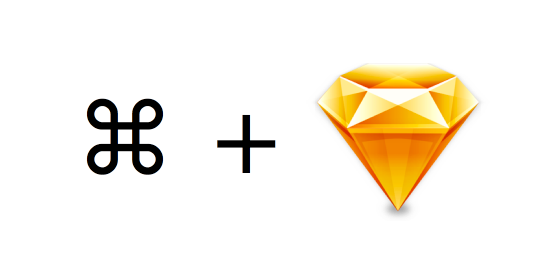 This post is a continuation of the great sketchshortcuts.com — which I referred to often in the first few weeks. These are custom ones I’ve added over the past 6 months of using Sketch. At the bottom of this article there’s a plist you can download in order to quickly load all these. You know how you like to work better than I do — so here’s how you create your own. In the Menu Title field, write the exact name of the menu item you want this Keyboard shortcut to trigger. 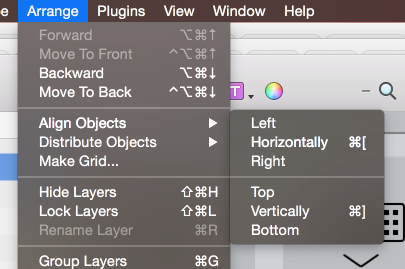 I’ll re-create my (⌘P) Round to Nearest Pixel Edge shortcut, so I type “Round to Nearest Pixel Edge”. 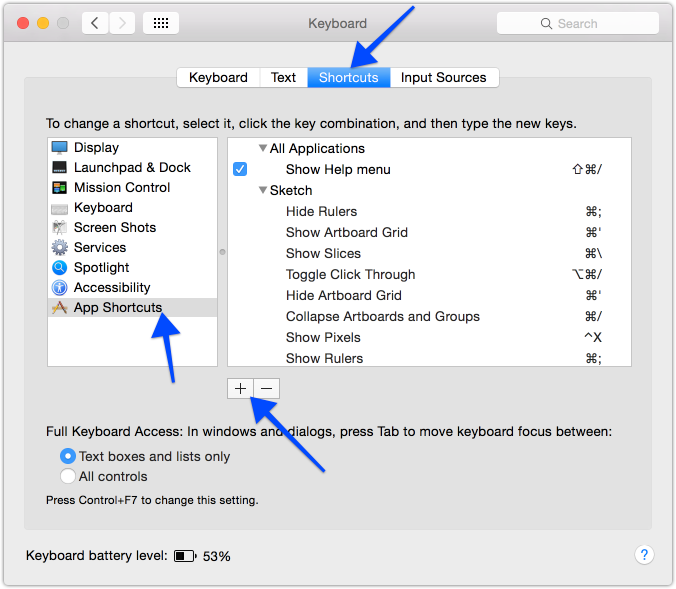 Then in the Keyboard Shortcut field, I hold down ⌘P (the actual keys) to populate the field. Click Add and it’s done! You can do this for any app. You can create duplicates: for example, I use ⌘ \ to show/hide slices, even though only one menu option is available at a time. In the shortcut editor, I just add “Show Slices” and “Hide Slices” as separate shortcuts with the same keybinding. As for things nested within another menu level — type the name including the nested names, separated by [ -> ] For example “Arrange->Align Objects->Horizontally” (in 10.8+, for <10.7 use > only). Hope this makes you more productive! If you’re a property list modifying whiz, you can use my plist as a template to quickly import these shotcuts. You can find them in ~/Library/Preferences. Make sure you back up the original before screwing around with this!